1. A chic shag rug so plush (say that five times fast), you'll wind up picking it over your couch during your regularly scheduled Netflix binges. 2. A beautiful bar cart with enough room to store bottles, glasses, and other important items that you — a mixologist — need to create the perfect cocktail. 3. A four-piece food storage container set that prove basic ol' plastic can be cute as heck and functional! 4. A coverlet set so you can change up the vibe in your room with very minimal effort. The set comes with two shams, a coverlet, throw pillow, and available in a king size. 5. A glass lantern featuring a luxe gold finish that'll just make your room feel more expensive (even when you're working with a budget!). 6. A shower curtain with fringe (!!!) for an easy bathroom refresh that doesn't require your entire savings. 7. 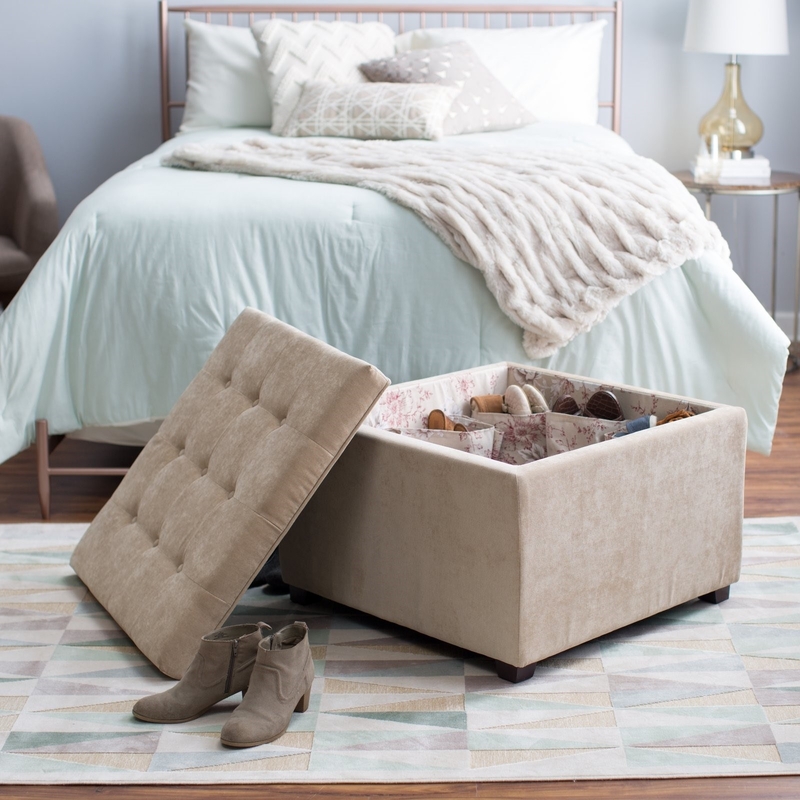 A storage ottoman that'll offer your room the triple-S: storage, seating, AND style. I made that up but it sounds good. 8. A multifunctional wall accent because organization and style *can* and *should* go together. I don't think the 'Gram is ready for your new mudroom. 9. A pasta canister with hammered detailing you'll want to leave on your countertop to show off to the world. 10. A sleek, mid-mod computer desk guaranteed to become the best part of any room you put it in. And just might make you excited to work. 11. A set of corner shelves because your corners need to step up and start pulling their weight around here! Home decor is a team effort! 12. A raised planter that'll finally give you the space you need to grow the lil' herb garden of your dreams. 13. An *actually* cute storage rack with canvas baskets to give your bathroom (or any room!) 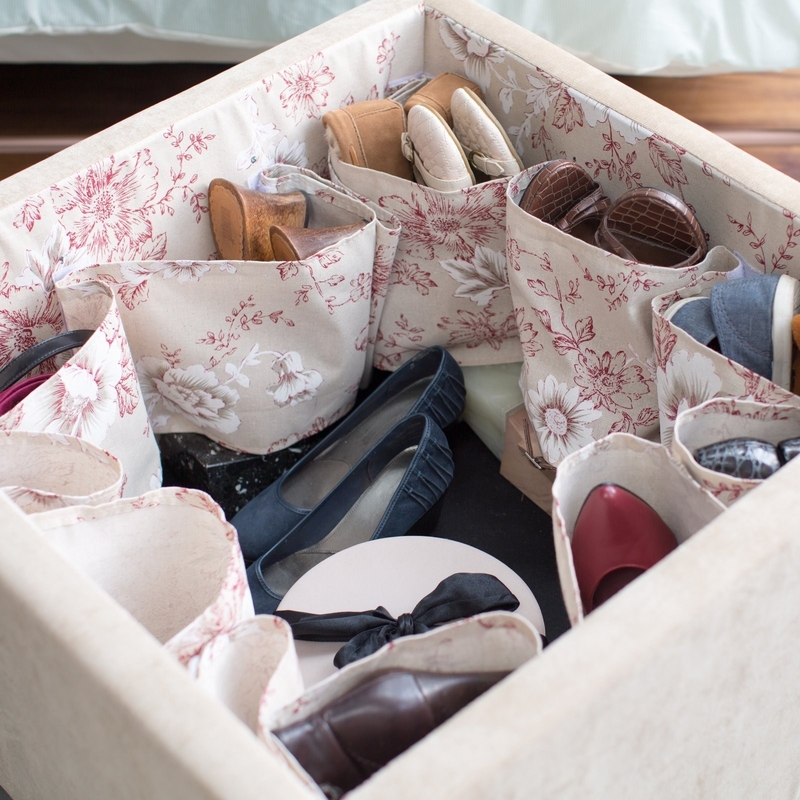 extra space for essentials. 14. A set of ceramic measuring cups – when stacked together – form an adorable flock of flamingos. IDC if you cook or not, this is the cutest thing ever and you need it. 15. A statement-making table lamp sure to turn every head that walks through the door. 16. A set of punny and ~cheesy~ metal spreaders that are reason enough to throw a party. 17. A double-hanging planter because we always need an excuse to BUY MORE PLANTS. 18. A minimalist wooden ladder to make your not-dirty-enough-to-wash clothes look like a chic element of your decor. 19. A frameless oval mirror with bevel, scallop detailing around the border for a clean and sophisticated look. I mean, why shouldn't your bathroom feel like a relaxing spa?! 20. A neon star light that will make a ~stellar~ addition to that empty, blank wall you have no idea what to do with. 21. A butter dish and matching salt and pepper shakers to make you even more excited for dinner parties...with yourself. Or with actual human guests! 22. A faux snake plant in a black cement pot you'll never have to worry about watering...or killing. 23. A sleek coffee table for effortlessly charming up your living room. This thing looks like it stepped straight out of a West Elm catalog. Promising review: "This table not only seems it has very good quality it, but it took less than 5 minutes to assemble. It's so beautiful and really makes the room. The marble looks real compared to other faux tops. I love it! —Meg B. 24. A chunky knit throw so you have just one more excuse to curl up on the couch and never leave. 25. And lastly, a set of ceramic vases in a striking midnight blue to give your lonesome shelf a little bit of life.